Mansion Poker began in 2006 starting first as its own network, then merged with Ongame, and finally became part of iPoker. Joining the iPoker network has been great for increasing Mansion’s traffic as the combined network also includes famous rooms like Titan Poker, VCPoker and many others. 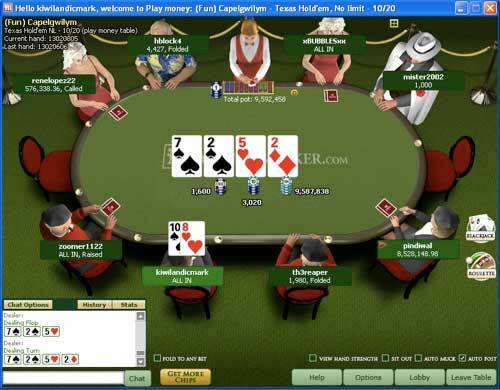 The amassed online player base of iPoker now ranks third, behind PokerStars and Full Tilt. Like the other iPoker sites however, Mansion unfortunately does not accept U.S. players. There are several games on offer at Mansion Poker. If you want to play for some cash, you’ll find Hold’em (Limit, No-limit, and Pot-limit), Omaha (Limit, Pot-limit, Limit Hi/Lo, and Pot-limit Hi/Lo), 7 Card Stud and 5 Card Stud. There are full ring tables (10-max), shorthanded tables (6-max), and Heads-up tables (2-max) for you to choose from. You’ll find No-limit tables as low as $0.01/$0.02 and as high as $300/$600, and the Limit tables go as high as $300/$600. As expected, most people on Mansion play No-limit Hold’em, but with up to 20,000+ players spread over 1500 tables of poker, you should be able to find an alternate game of choice. It will sometimes be difficult to find high stakes games other than Hold’em, but when playing at peak hours it can certainly be done. For example, it’s not unusual to find a short handed game of Pot Limit Omaha going on at $50/$100 with average pots of over $2,500. If you’re interested in tournaments you have plenty to choose from at Mansion Poker. They offer a large variety of scheduled tournaments and many of them have impressive guarantees. There is a slew of guaranteed tournaments each month, including the $40,000 GP High Roller Monday. There are freeze-outs, rebuys (you can rebuy if you bust in the first hour of play), double stacks (you get double the usual starting stack), speed rebuys (the blinds increase faster than usual) and many more. There are also satellites, freerolls, and tournaments with Mansion Club Points as buy-ins (Mansion Club Points are explained later in this review). Scheduled tournaments are offered for all varieties of Hold’em, Omaha, and Stud. Where Sit & Gos are concerned, Mansion Poker has both regular ones and satellites. They’ve also just added four Sit & Go tournaments with a top jackpot of $50,000! You can play some really small buy-in Sit & Goes, as low as $0.02+$0.01! The small and middle buy-ins have plenty of traffic and they fill very quickly. Buy-ins as high as $1000+$50 are offered but the very highest buy-ins are slower to fill, so you could be waiting a while to play in one. As an example, the ratio of active $200+$25 Sit & Gos to live $500+$30 Sit & Goes is about 3 to 1. If you wish to play some Stud Sit & Gos, you will have to go elsewhere as Mansion only offers them in Hold’em and Omaha. It doesn’t take long to get used to Mansion Poker’s lobby, which is easy on the eyes and well organized. You choose your game on the left hand side and then the options for your chosen game appear in the main part of the lobby. If you select ‘Cash Tables’, you can sort through the games and organize them by Room Name, Stakes, number of players (tabbed as ‘Plrs’), average pot size (‘Av. Pot’), percentage of players that see the flop (‘P/F’), number of hands per hour (‘H/hr’), or number of players on the waiting list (‘Wait’). There is an option to hide full tables and an option to filter the tables. For example, you can choose to see tables at stakes between $1 and $20 with 6 players only. Highlighting a given table will show you its players on the right side of the lobby and a neat little feature adds up the total stacks of all the players to let you know how much money sits on the table. You can also see the players waiting at any given table if you want to find or avoid someone you know. Selecting another game type gives you similar options but different ways to sort your tables. Tournaments can be sorted according to Name, Type, Buy-in, Start Time, Plrs, and Status. Highlighting a given tournament will show its details on the right side of the lobby including the status of the tournament, its description, the starting time, buy-in, maximum players, and number of players already registered. 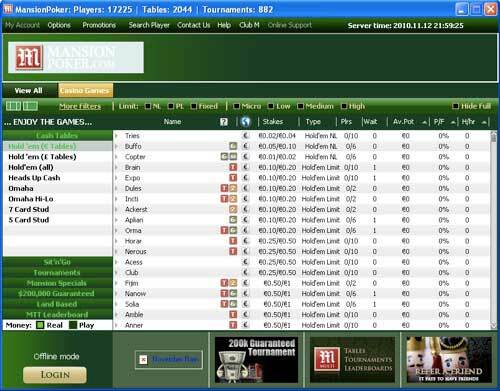 On the old Mansion Poker software the tournament lobby could only be opened in the main lobby and if you wanted more information you had to open a web browser. This is no longer the case and instead each tournament has its own windowed lobby that opens separate from the main lobby. This is very nice as it makes it easy to see the prize pools, payouts and participants for each tournament. When you select a table at Mansion Poker and open it up, you’ll see that each player has a built-in avatar. If you don’t like the way this looks you can turn it off by pressing the OPTIONS button and deselecting ‘show avatars’ under GAME SETTINGS. There are many other options to choose from such as viewing hand strength, table chat, 4 color deck, and many more. You can even change the volume for the sounds at your table. Mansion does not have resizable tables but you can choose to have mini tables instead. If you select mini tables you will not be able to use avatars, and you also can’t see the action in the chat box. In our opinion the full-sized tables are way too big and the mini-tables are way too small. Hopefully, they will come out with resizable tables soon. The MansionPoker client is currently available in a few different languages: English, Deutsch (German), Español (Spanish), and Svenska (Swedish). You can install their software in any of those languages and they plan on adding more in the very near future. Unfortunately, Mansion Poker is not Mac compatible. Once you’ve chosen your seat and you’re ready to play some poker, the tables are pretty easy to navigate. With the old Ongame software that Mansion offered a player had to sit out a hand if they wanted to reload chips at any given time. Moving to iPoker software has changed this and now you are able to top off your stack without sitting out by simply clicking the ‘GET MORE CHIPS’ button at the bottom of the window. A somewhat confusing feature is the instant hand histories. You can see the last hand instantly by clicking ‘Last hand’ in the upper left corner of the window, but the hand history is in a very strange format that lists each player and their actions and places them in columns sorted by street. All iPoker sites do this for their hand histories and it can be annoying if you’re used to more traditional instant hand history. Since joining the iPoker Network, Mansion Poker has seen a nice boost in traffic across all of their games. In the past, it was difficult to find anyone playing their mid and high-stakes games. However, with the backing of the world’s third largest poker network, Mansion Poker has exploded, consistently having more than 20,000 players online. Their numbers increased again when FullTilt went down. Now the iPoker Network rates as the 2nd largest poker network in the world. The iPoker effect has been seen in tournaments and SNGs as well, as their tournament schedule has been expanded and SNGs of all levels are filling up with regularity. Those looking to grind out their starting bonus should have no trouble finding sufficient action at all stakes. Their weekly $200,000 guaranteed routinely surpasses its guarantee and pays approximately $50,000 to the winner. Being a non-US poker room automatically makes Mansion Poker fishier than rooms like FullTilt or PokerStars. European sites tend to have a wide variety of bad players, who are all very loose before the flop and sometimes borderline crazy after the flop. Since their merger with the iPoker Network, Mansion Poker has seen a lot more players join their site, they majority of which are fish. If you are looking for a soft site with nice software and a big deposit bonus, Mansion Poker is a good place to start. Mansion offers a first deposit bonus of 200% up to $2000! Just make sure you sign up through the links on this page and use the Mansion Poker bonus code ftrbonus when creating your account to get this great bonus. This free $2000 can be yours, but in order to release it you need to earn Status Points (SPs) while playing at the real money tables. For every 500 status points you collect, you will earn $5 of your bonus! You earn partial points for smaller rakes, so this bonus is decent for smaller stakes players. After 30 days, your bonus expires, and any unearned portions will be lost. You can receive SPs in both cash games and tournament games. The number of SPs received is 15 per $ in rake or tournament fees. If you play at the euro tables, you’ll get 20 points per € of rake or fees. Finally, games denominated in GBP award points at a rate of 24 per £ taken in rake or fees. If you enjoy Omaha poker, then this is the bonus for you because the rate of points accumulation in Omaha ring games is quite a bit higher. Play at the Omaha tables to collect 20 points per $1, 25 points per €, and 30 points per £ you pay in rake! This is an awesome bonus, and you need to collect a total of 200,000 SPs to clear the whole thing. For smaller stakes this is a pretty decent grind and one of the better bonuses for players with a smaller bankroll. Of course, if you can play 100nl or above, you should clear this in a breeze. Players who use our bonus code will also be eligible to participate in a plethora of freerolls designed with new players in mind. These include two weekly $250 Depositors freerolls, a new depositors $2,500 freeroll and daily $25 freerolls that are open only to players who signed up in the past 90 days. 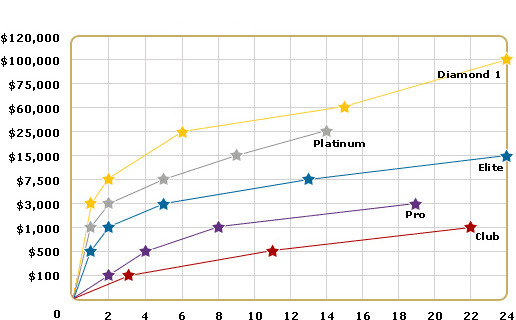 Reaching higher ranks equates to additional benefits. For example, you’ll be eligible for special freerolls as you advance in the Club. You’re also granted access to the Loyalty Shop. In the shop, you can purchase cash bonuses and tournament tokens. Mansion also has a loyalty scheme built in to give their players great incentive for keeping their VIP status, and not falling back. If you keep your VIP status for a consecutive 3 month period, you will be given a hefty additional point bonus! Keep it for a solid 6 months, and the bonus will be even bigger! At the highest level of Club Mansion, you can earn rewards worth more than 50% of the rake that you pay. Click here to join Mansion Poker! Mansion Poker is delighted to reward your loyalty with membership to their exclusive Club Mansion. You earn Mansion Club Points for each raked hand you play; the more you play, the higher up the levels you go. And for the truly loyal players among you, we have something extra special: the Club Mansion Loyalty Scheme. Players will earn Mansion Club points as they play real money games or tournaments. Loyalty points will be ‘boosted’ each month by multiplying by a factor from 1 to 4.5 dependent upon their VIP status. As well as the Club Mansion VIP Program we also offer a unique loyalty scheme which will reward you for maintaining your status within Club Mansion. Maintain membership of Club Mansion for three months and you can claim extra points which can be exchanged for jpgts, tournament tickets or cash bonuses in our Club Mansion Shop. Maintain your level for six months and the rewards are even greater! 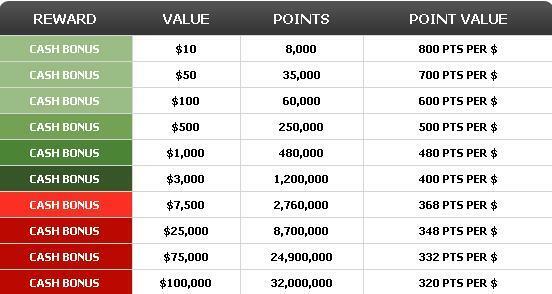 See the table below for details of how much you can claim. You can use the points in the shop to purchase jpgts, tournament tickets or even cash bonuses. Save your points for bigger and better rewards, huge cash bonuses are available with bigger discounts on bigger rewards. At Mansion we understand that once you reach the three month target it can be tempting to cash in your chips and claim the bonus. That’s why we are here for you, even if you drop a level during the following three months our unique loyalty scheme ensures that you won’t lose out. Claim for six months at one level lower and you will be guaranteed a bigger reward than if you had claimed after only three months.